White Sugar, Brown Sugar: Happy B-day, to My Book! 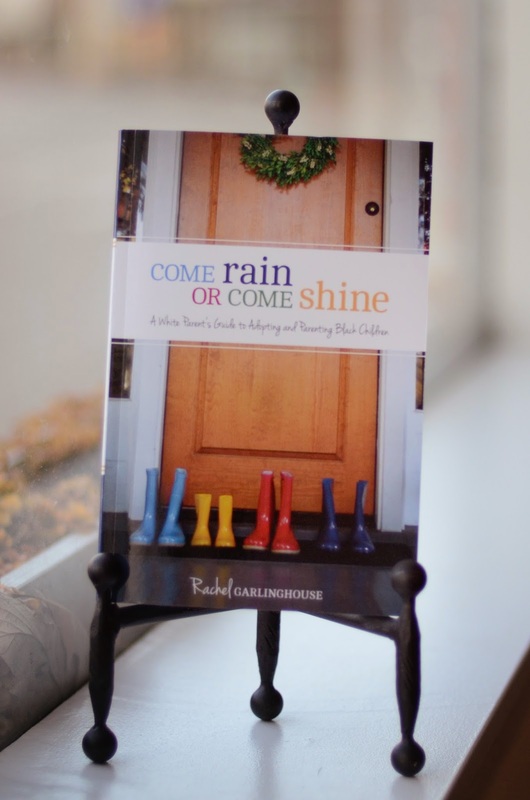 Happy 1st Birthday to Come Rain or Come Shine: A White Parent's Guide to Adopting and Parenting Black Children! Thank you to everyone who has purchased the book and shared it with family, friends, your social workers, your children's teachers and doctors, your support groups. The book has done far better than I imagined or hoped for. This book has brought me incredible joy and opportunities to share my passion and education. I have received countless e-mails from readers expressing their struggles, their victories, their questions. I was invited to appear on MSNBC, NPR, in Essence, on The Daily Drum National Radio Show, and more. I've been able to write for some fantastic blogs including Slow Mama, Rage Against the Minivan, I Am Not the Babysitter, Open Adoption Bloggers. And I was offered a pretty fantastic job over at adoption.net, one of the hottest adoption websites, writing a series called Ask The Adoption Coach. I guess quitting my teaching job was the right decision! Friends, I wrote the book that I wish I would have had when I started my adoption journey. It was the book I was born to write, and I pray that it brings you inspiration and education. Thank you for your readership and your encouragement. And stay tuned, because book #2 is in production! Visiting from mybrownbaby to tell you I absolutely loved your post and hope to learn more about you and your beautiful family.